What do you do as an excluded spouse? In Unger v. Unger Estate 2017 BCSC 1946, a testator left the residue of his estate to his children and nothing for his second wife of 34 years on account of having already transferred her a half share in the family home. 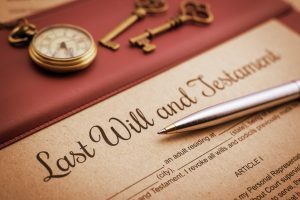 The wife sought to vary the deceased’s last will to give her $375,000 on the basis that the testator failed to provide for her in his will. The remaining children opposed any variation. As the testator died before BC’s new Wills, Estates and Succession Act, SBC 2009 c. 13 came into force, the former Wills Variation Act RSBC 1996 c. 490 applied. Under section two of the old WVA, if a testator dies leaving a will that does not make adequate provision for the proper maintenance and support of the testator’s spouse or children, the court may order provision from the testator’s estate that is just and equitable in the circumstances. The legal analysis under s.2 requires the court to consider firstly whether there was adequate provision, based on the needs and circumstances of the spouse or child, and secondly what would be just adequate and equitable in the circumstances. When assessing the protection of the will-maker’s spouse and children, the courts first step is to determine what the will-maker’s legal and moral obligations are. The legal obligations require the court to consider what that the law would have imposed on the will-maker if the question of provision had arisen during his lifetime. Madam Justice Forth’s notes that in Tataryn, the legal obligations to a spouse may be informed by the Divorce Act RSC 1985. The moral obligation, described in Tataryn, requires the court to consider society’s reasonable expectations of what a judicious person would do in the circumstances. In applying the above principles, Madam Justice Forth considered s. 81 (b) and s. 85(1) of the Family Law Act, which states that each spouse is entitled to an undivided half interest in all family property which includes all property owned by at least one spouse as well as beneficial interests of at least one spouse and property acquired by a spouse before the relationship began is excluded from family property. By application of these provisions, the testator’s wife would have had a claim to the testator’s money in his bank account at the time of death. Madam Justice Forth considered whether the testator’s wife would have had a claim to the family home under the FLA as although he gave her a 50% interest in the house, the house itself was acquired before the relationship began and is excluded property. Madam Justice Forth found that the common law presumption that a transfer of land from a husband to wife is presumed to be a gift (as opposed to being held on resulting trust). She found that the testator in his will indicated he gifted her the house and no evidence was available to rebut that. Madam Justice Forth concluded by finding that the testator’s wife would have had a strong claim for both the division of property and spousal support per Mr. Unger’s uncrystallised legal obligations. She also held that the testator did not meet his moral obligations to his wife in finding that the rationale for excluding his wife was not valid on the factors set out in J.R. v. J.D.M., 2016 BCSC 2265. She ordered that the residue of the deceased’s estate be divided with 30% with the testator’s wife and the remaining funds divided equally between the remaining four children.